I have to admit. I’m a little lazy when it comes to skincare. I love a clean fresh face, hydration of course is key (inside and out) - but I know that I only do the basics. The last year or so I’ve been stepping things up from there and now am making a major effort to make my skin a top priority. So, you’re going to see a lot more of what I’m trying, testing out and I’ll share some of the issues I’d like to tackle or prevent along the way. 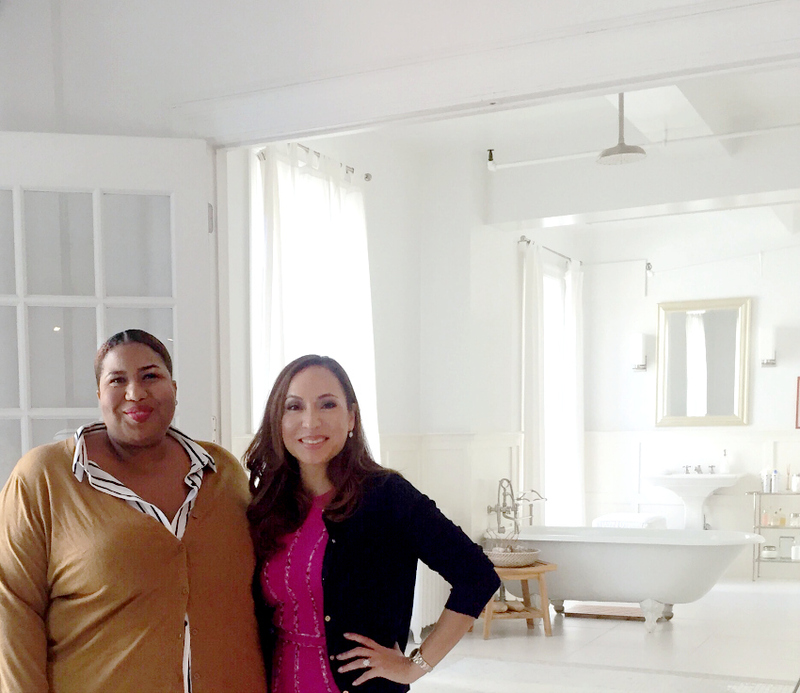 Dove Dermatologist Dr. Alicia Barba and I sat down recently to address some of my top concerns and she dropped a few gems. She’s brilliant and her skin is flawless – reasons to listen! The three things I’m most concerned with are adult acne, anti-aging and hydration! Adult Acne – I get hormonal breakouts around the time of my lady days and fine bumps at other points throughout the month. Dr. Barba let me know that adult acne is actually when people who never had teenage acne break out in the 20’s and 30’s with cystic acne. Since I had teenage acne and my breakouts aren’t really cystic, it’s more likely my fine bumps are a reaction to things that trigger me in my diet – that would be sugar and dairy in my case, or she mentioned it could also be things I’m putting into my hair or certain makeups I’m using! So good to know. I’ll be switching up some of my routine to see if that helps! Anti-aging – Dr. Barba says the spectrum goes from people who want to just let their face do what it does, people who go all the way extreme with surgeries etc. and then most of us live in the middle. We want to age gracefully but do/should use the actives in modern day skincare. She adds there are several things we can do to protect our collagen including; protecting our skin from the sun, smoking obviously is a NO NO and paying attention to our diet. Skin being the largest organ in the body, is just as affected by poor choices. The actives are definitely where I need to step my game up. I’ll be digging deep into actives that will help with some of my skin issues and prevention as well. Hydration – I feel like most of my thoughts around skincare are relegated to my face but the truth is, hello! your skin covers your entire body. What about the rest of you? Are you like me or are you more diligent? Dr. Barba says winter itch is one of the biggest issues. We have to hydrate our skin not just to look great but for our skin to function properly and not develop rashes etc. That’s why Dove products are so amazing, the trade signature being ¼ moisturizers. 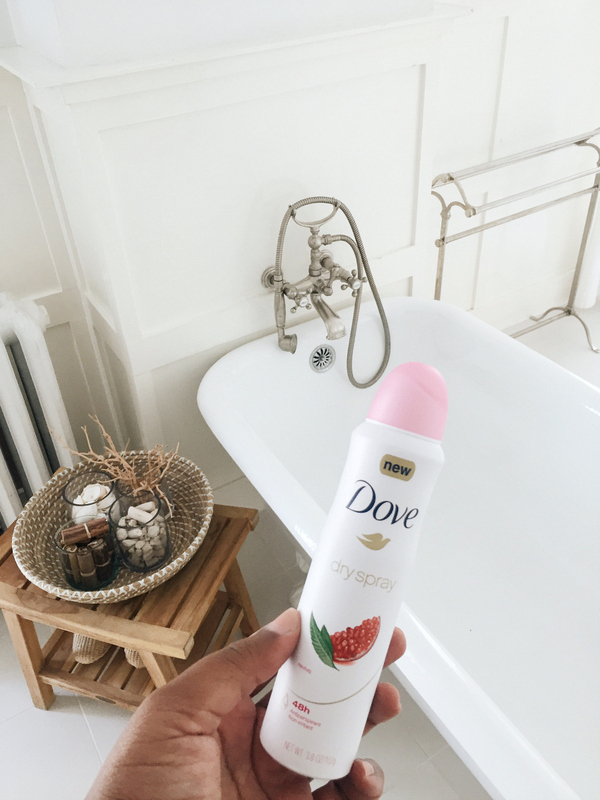 I was curious to know if switching from the Dove stick that I use regularly to the Dove Dry Spray Antiperspirant would be drying. I was happy to hear that there are no alcohols in the spray and they still have the proprietary moisturizers. “Just because it goes on dry, doesn’t mean it’s drying” Dr. Barba adds. Dove Dry Spray offers 48 hour protection and comes in 8 different options, including one for sensitive skin! There’s even a variant called Clear Tone that helps with pigmented skin under the arms. So if you have any dark spots, might be a great option to try! This post is in partnership with Dove. All opinions are my own.